Synopsis: Raj is oblivious to the Second World War being fought beyond his tiny exotic island. His mother is his sole company while his father works as a prison guard, so the boy thinks only of making friends. One day, from the far-away world, a ship brings to the island Jewish exiles who have been refused entry to Israel. David, a recently orphaned boy of his own age, becomes the friend that he has longed for, and Raj takes it upon himself to help David escape from the prison. As they flee through sub-tropical forests and devastating storms, the boys battle hunger and malaria – and forge a friendship only death could destroy. Review: Translated from the French by Geoffrey Strachan, I barely noticed that the book was not originally written in English. The prose flows through English seamlessly, hopefully with not too much post in translation. The book is written in the first person, with Raj narrating the story of his childhood – this is not a spoiler, you get it by page one – and is convincing in a way that doesn’t take away from the fact that it’s narrated by an adult. 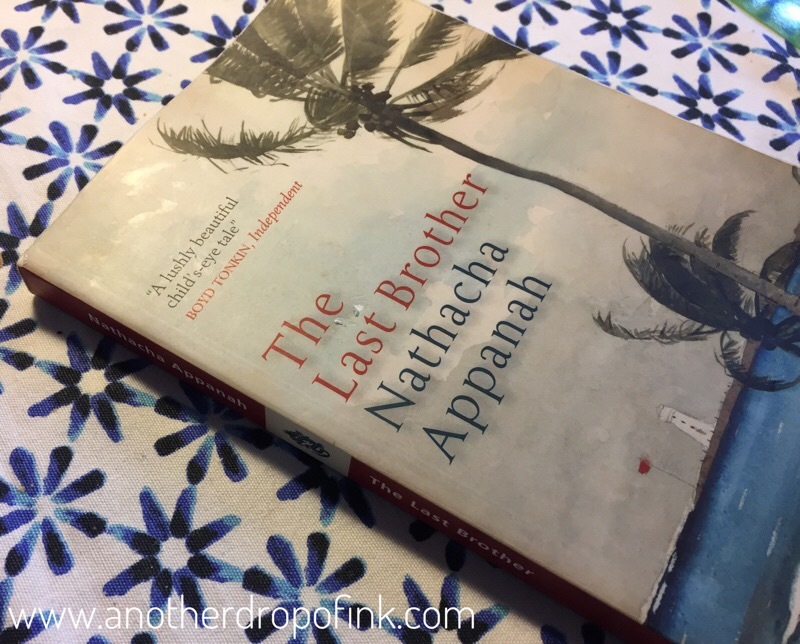 I’m always curious about books where the writer’s main character is a different gender to their own, and Nathacha doesn’t miss a beat from writing as an old man, about a boy’s like. The story itself is heartbreaking. Be prepared to have your heart wrenched out. Raj’s description of the daily interactions with his parents especially, left me sad. To endure so much at such a young age… no child should have to. Yet they do, every day. ‘We are hurt in relationship, and we are healed in relationship’. This is the central tenet of the story, which is also my central tenet in psychotherapy so for me, this theme was strong through the book. How the people we love can break us entirely, and how other, if we allow ourselves to open up and love them, can heal us. Raj’s life is forever changed because of his father, because of his brothers, and is changed again because of his mother and because of meeting David. There’s so much more I could say about the book but couldn’t without spoiling it completely. I hadn’t read anything about it bar the synopsis on the back and it was a good thing. It made the story come very much alive, with a raw power that I hadn’t anticipated. Would I recommend it? Yes I would. In a heartbeat. It’s very well written, a beautiful read and a good pace. It’s another book that I would love to see added to the school literature syllabus in Southern Africa because it carries themes we need to be talking about. Themes we need to speak about between adults, young teenagers and parents. So yes, buy it and read it. I bought the book on bookdepository and this is an affiliate link, meaning if you click through and you buy a book, I’ll get 5% off the price of my next purchase, so give me some love if you do buy a book from them. Free worldwide shipping too, which goes a long way.